On Friday, February 9 at 6:30pm we’re celebrating Romance with Italian flavors we love. 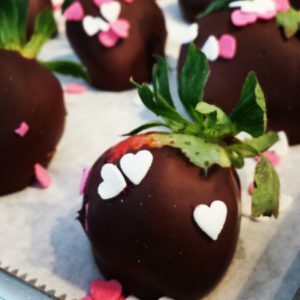 Join us at KitchenAble- bring your Valentine or be our date for the night! 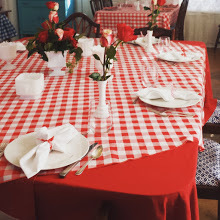 Our menu for this dinner will include: Antipasto, Fresh Baked Focaccia Bread, Eggplant Napoleons, Pork Saltimbocca, Penne Rosa, and Chicken Marsala, with Classic Cheesecake and Chocolate Dipped Berries for Dessert. For this Chef’s Table dinning experience join us in the kitchen where you can relax and clearly watch the preparation of this delicious meal (which will be served family style). Our chef and staff prepare and create this delicious menu using local, fresh ingredients. You are welcome to ask questions and sure to learn a few new tricks but this dining experience is all about enjoying a lavish meal. Our Chef’s Table Supper Club is $55 per person. Chilled water and coffee are served with dinner and we welcome guests to bring your favorite beverage to enjoy responsibly. Although you can take notes if you wish, written recipes are not provided with this experience. Doors open at 6:30 pm. Seating is limited. Please book your reservation in advance by paying with any credit card through our website at www.KitchenAble.net . We can be reached by phone (850)264-2308 or email at Info@kitchenable.net.